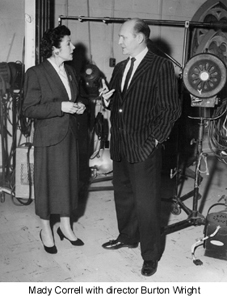 Policewoman was Detroit’s first locally produced half hour dramatic TV program. 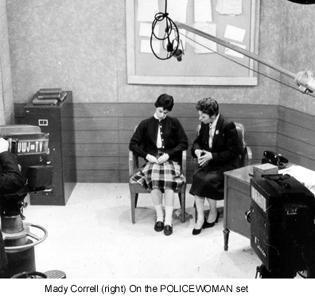 The show depicted realistic reenactments of police cases taken from the files of the Women’s Division of the Detroit Police Department. Policewoman made its debut on January 10, 1959. It aired every Saturday at 7 PM on WWJ-TV. Broadway and movie actress Mady Correll played Police Sgt. Mary Carter. 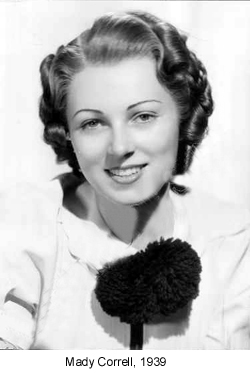 Correll is probably best known for her final movie role as Charlie Chaplin’s invalid wife in his 1947 masterpiece Monsieur Verdoux. By the mid 1950s Correll’s career had stalled, so she moved to the Detroit area where she acted in industrial films and community theatre. Real-life Detroit cop Lucia Stevens doubled as Correll’s sidekick and was the show’s technical director. Policewoman aired live, utilizing two studios and four cameras. 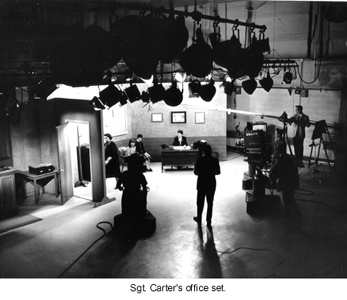 Permanent sets were built to depict the Women’s Division desk, where violators were booked, and the sergeant’s office. Film footage was used for establishing shots between the scenes. A typical story line would have Sgt. Carter investigating a suspicious arson fire in a teenage hangout or a confrontation between two girls who were caught shoplifting. The show received accolades from community leaders for presenting a realistic depiction of the life of a female police officer. The show’s small budget, coupled with the limitations of live television, contributed to the cancellation of Policewoman. The last show aired on September 5, 1959. It was replaced by a NBC network game show. Mady Correll became a resident actor and instructor at Detroit’s Vanguard Playhouse for a brief time before retiring permanently to Los Angeles. Her death in 1981 was attributed to stomach cancer. Because Policewoman aired live, no episodes exist of this ground breaking TV show.